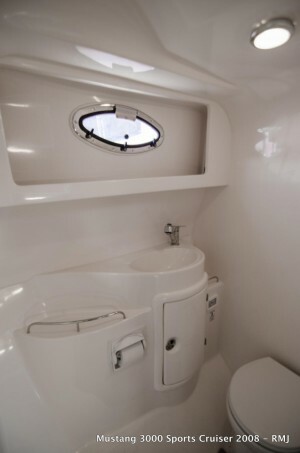 SERVICED/ANTIFOULED/NEW CLEARS IN MAY/JUNE 2018. 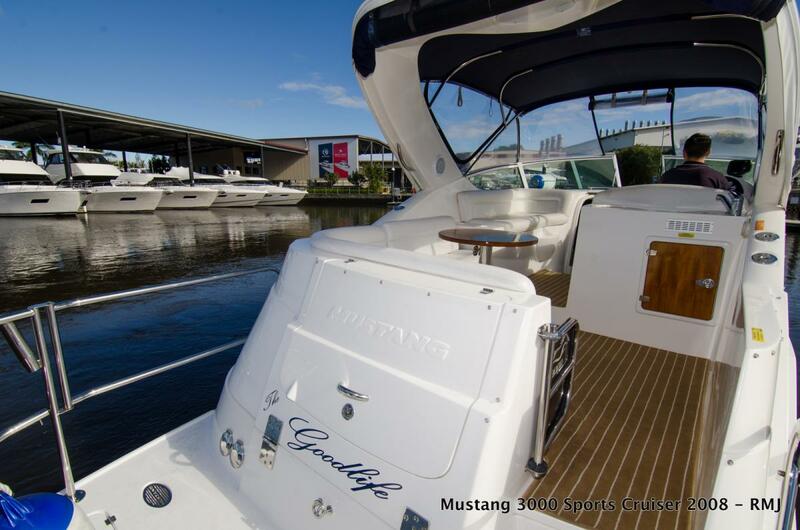 Located on the RMJ sales marina, at the home of Riviera. 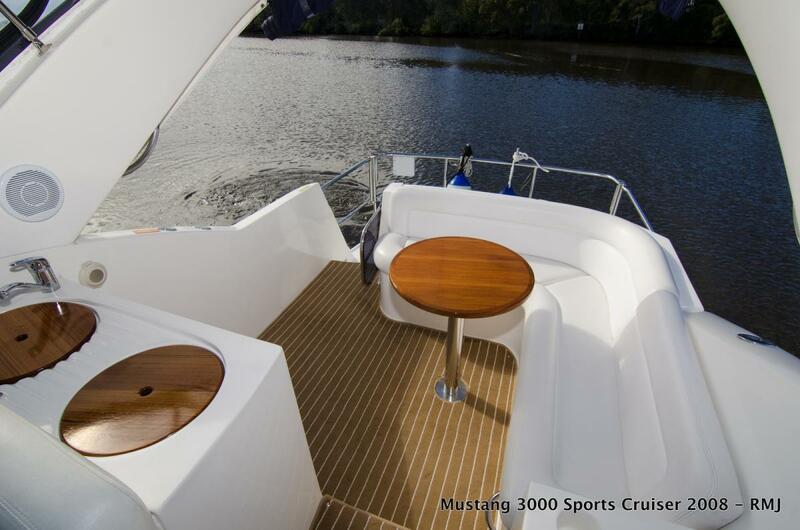 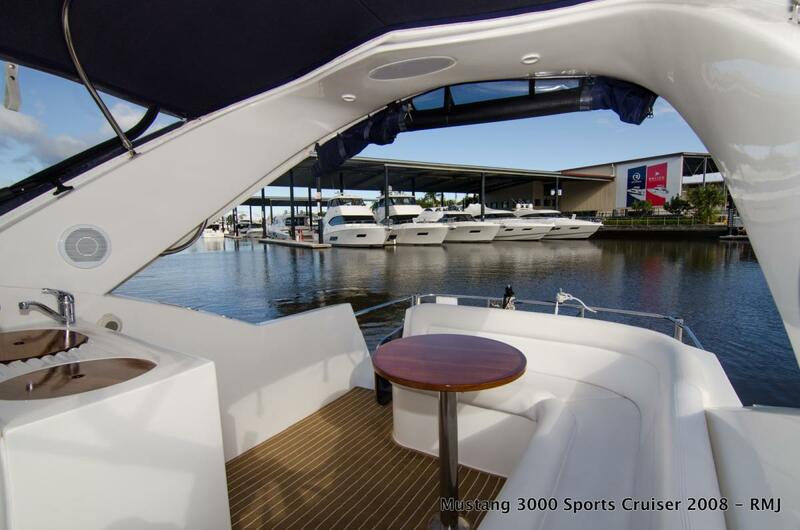 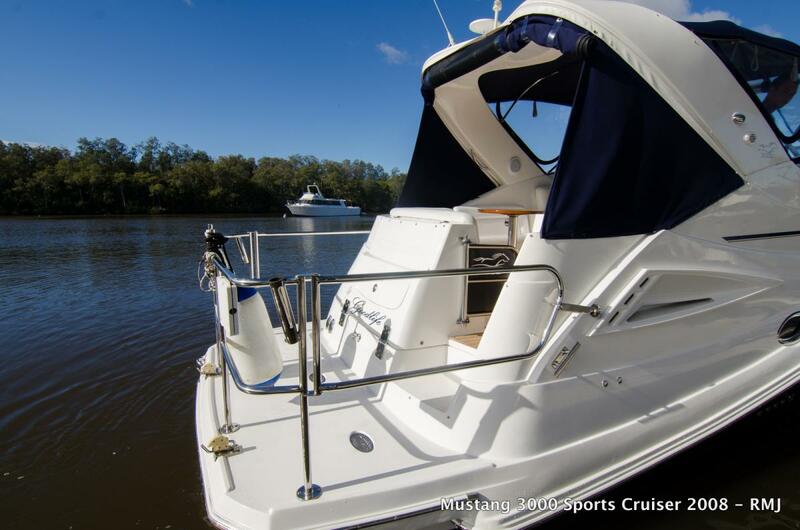 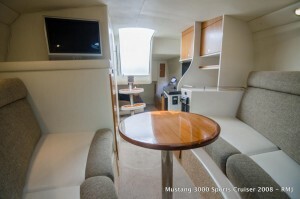 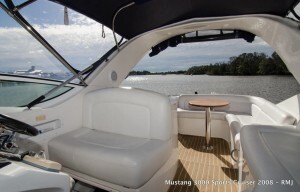 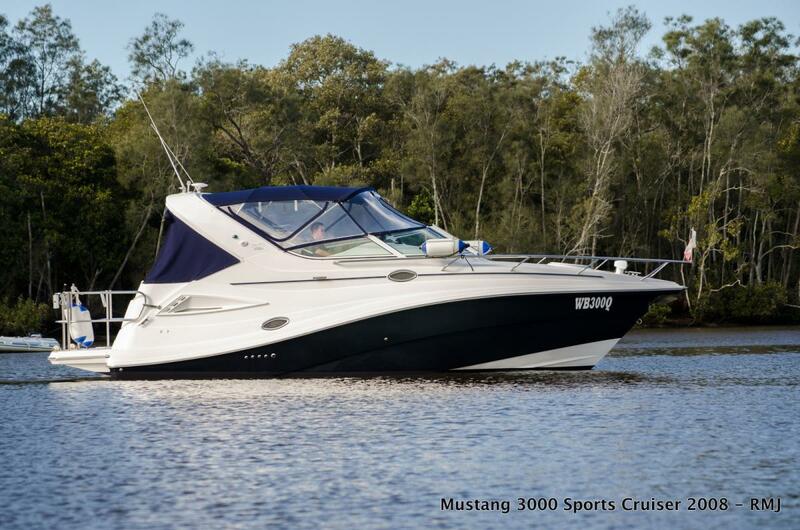 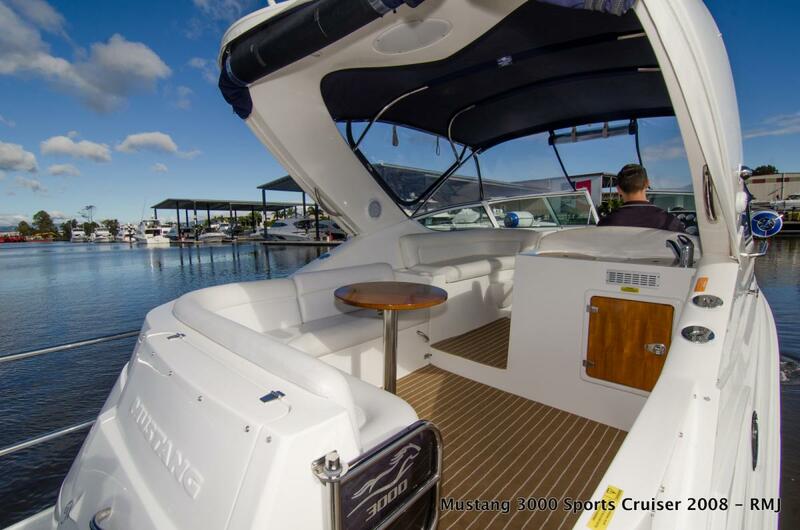 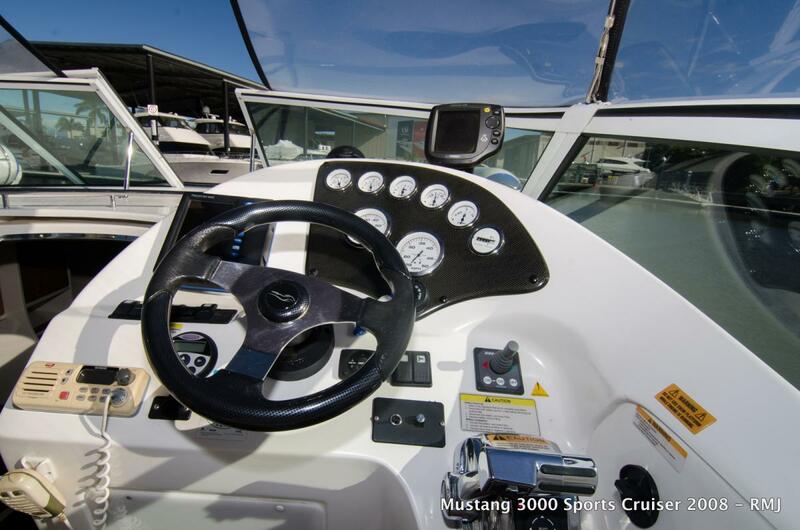 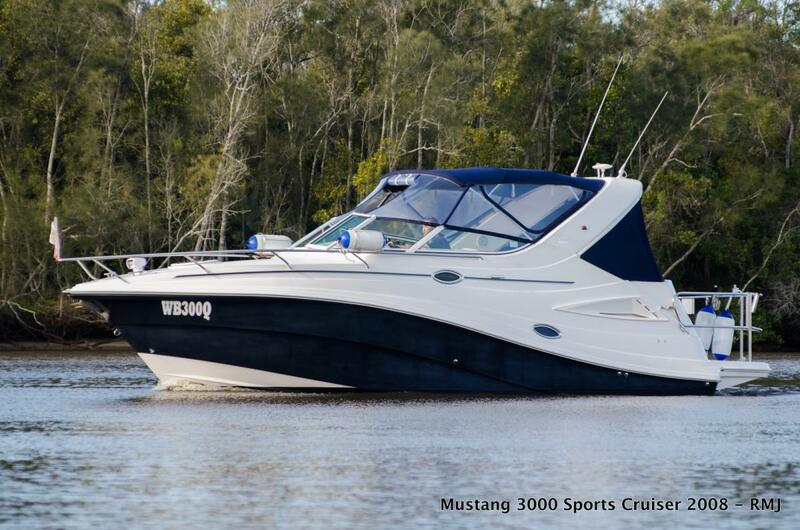 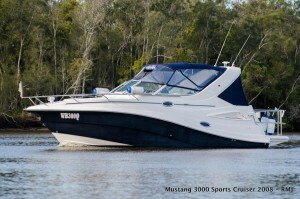 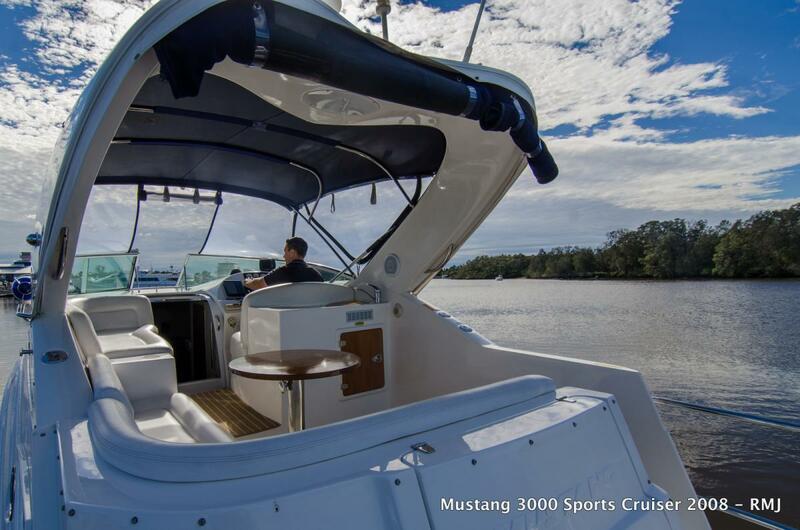 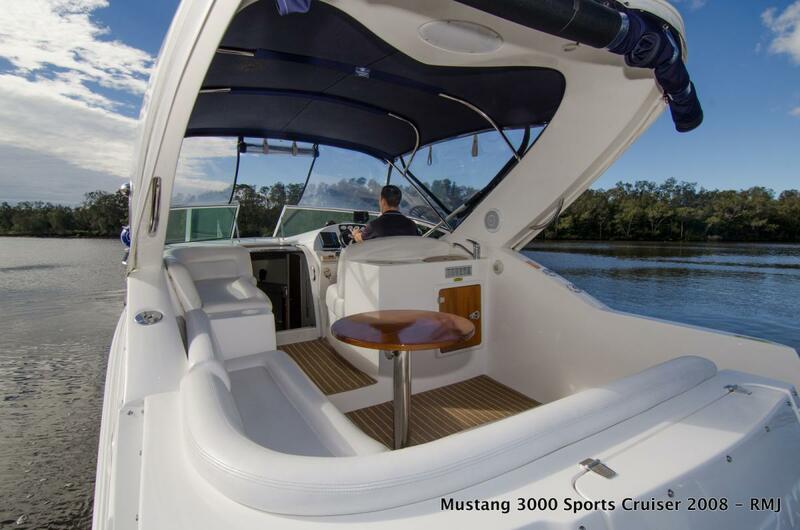 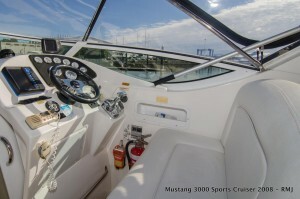 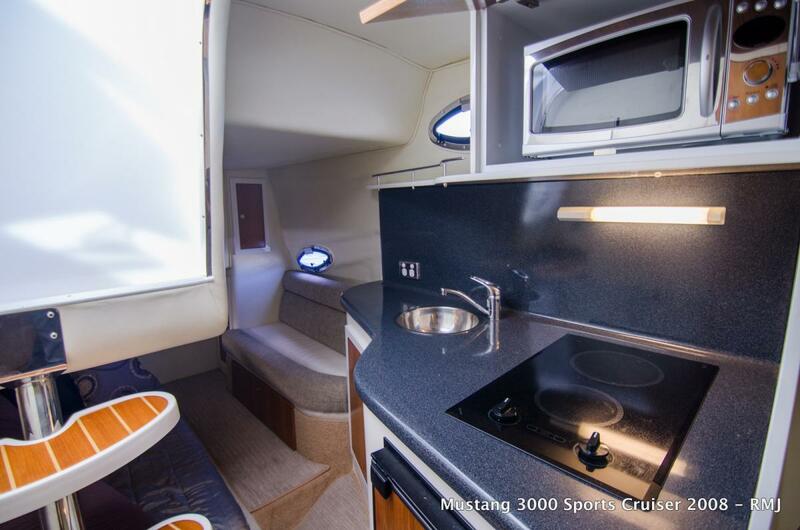 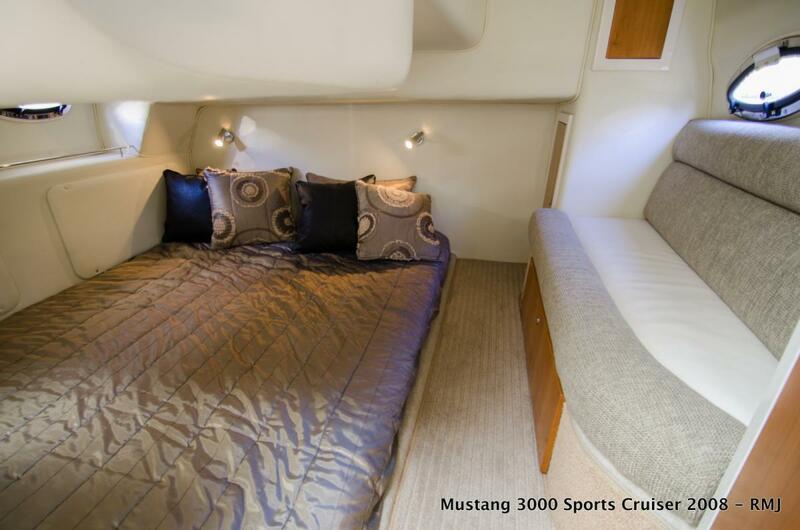 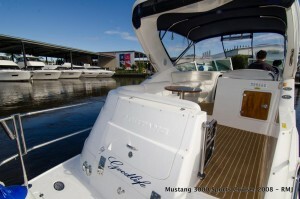 Step inside this Mustang 3000 Sports Cruiser, and you are instantly surprised with the spacious layout and feel of a much bigger vessel. Sitting high in the water really creates a great sense of space and awareness on the water, not only are you complimented by the head room, but also the vision that height creates, whilst sitting at the helm. 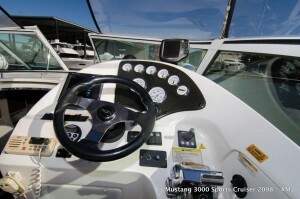 Powered by a single Mercruiser 6.2L with DTS controls, and a Bravo 3 Leg. She boasts a large entertaining swim platform, with surround stainless steel rails for that extra safety and surety. 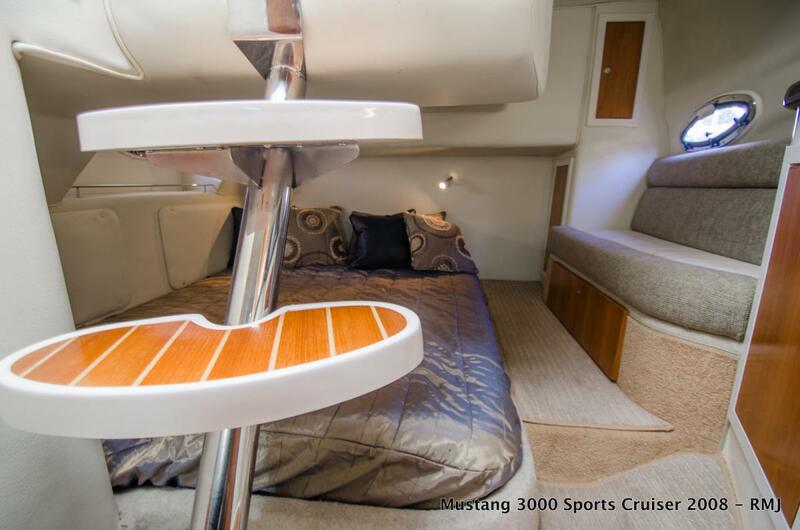 The rails are fitted with an outboard engine mount, a BBQ mount, and then snap davits to the swim platform for your chosen tender. She has just been serviced by Manly Harbour Marine, and antifouled, ready for her new owners. 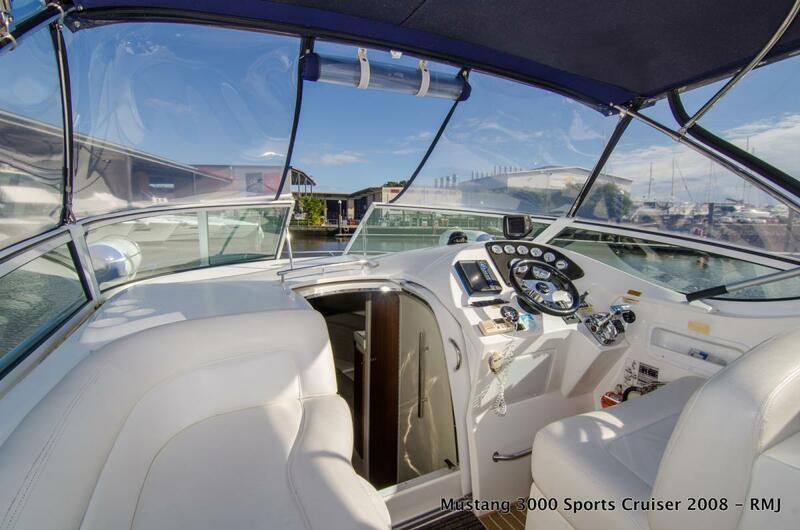 Brand new clears have been fitted in June 2018. 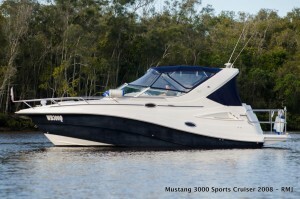 Please contact Sam Phillips for more information, 0403 515 778. 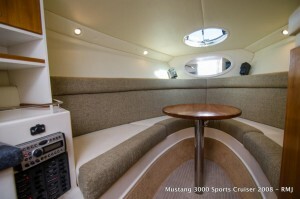 Engine Room : Aft under cockpit lounge, very generous working space around engine. 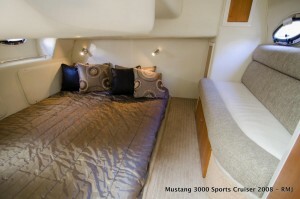 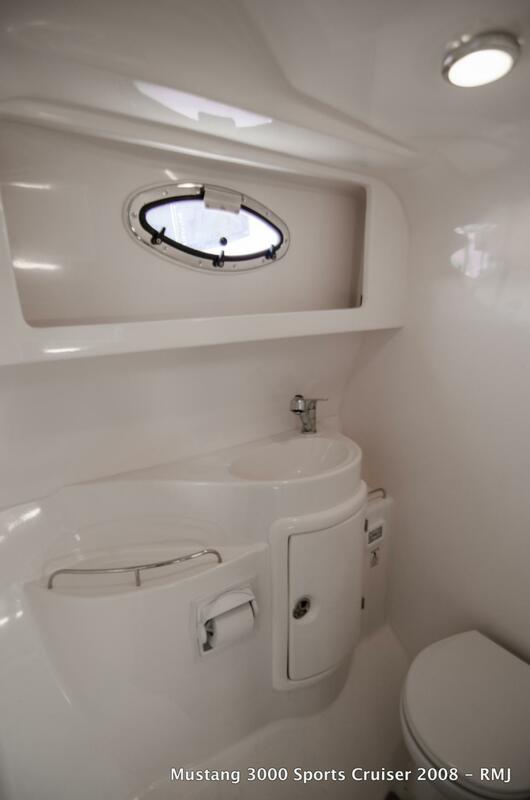 Accomodation Notes : Aft full beam master cabin, with forward convertible bed. 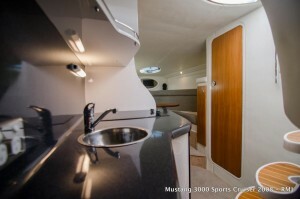 Refrigeration : Yes to galley. Covers : BRAND NEW clears fitted June 2018.